With the help of our local Tibet tour leaders and our Tibetan guides, our clients really can gain firsthand insight into Tibet they are travelling through and benefit from their knowledge on places to eat and stay which best support the local people. We believe we can influence travellers as long as we insist our value. Firstly, we pay much attention to increase traveller’s awareness of environmental protection. When an enquiry is sent to us, our trip advisor not only help to design your Tibet itinerary, but also explain the necessary knowledge of Tibetan environment production. Secondly, we give every travellers a guidebook before leaving for destination, on which, our clients not only know exactly how to protect cultural relics in the monasteries and palaces, but also understand the importance to keep the natural relics, lakes from being polluted during their tour. Thirdly, on the tour, our tour guides distribute rubbish bags to each traveller, so they can collect their own trash as they travel and later throw all of it to designated places. We believe we can influence travellers as long as we insist our value. 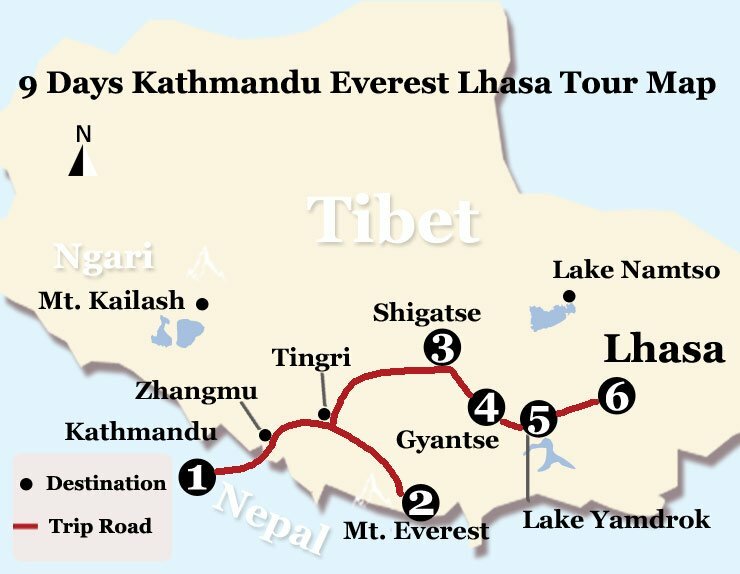 As a responsible tour operator in Lhasa, we understand how important it is to work in the field of tourism and help local Tibetan to achieve stable and long-term profits and improve their standards of living. All our tour guides and drivers are hired from the local Tibetans. Firstly, we provide them with salary, tour allowance, insurance, travel rewards, and opportunities for in-service training. We also offer necessary help when their family members become sick. Secondly, owing to the apparent seasonal change of Tibet travel, so far this organisation has offered 9 months' work to around 40 Tibetan staffs from April to January next year, representing 30 percent higher working months than average in the field. the altitude and the considerable climbing involved in exploring the monasteries. Be prepared for some discomfort. A relaxed attitude towards the unexpected helps! suitable standard). Less excusably we always ate in Chinese or Nepali restaurants, when Tibetan ones existed and would have been much preferred by the group. We were constantly plied with bottled water, whereas boiled or filtered water would have been less environmentally damaging. time for sightseeing and provided better value for money overall. 1. We used Tibetan tour guide, driver and tourist bus for the group. 3. For the meals, we did not arrange in advance. Our Tibetan tour guide will recommend clients to eat during the trip. There are many restaurants to choose. 4. We offer bottled water and boiled water on the road. But boiled water is not enough because it need get from restaurant. On the bus, there is no method to boil water. So, we have to prepare some bottled water in advance.